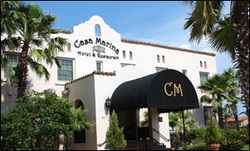 Located just two blocks north of the Jacksonville Beach Pier, Casa Marina Hotel is the boutique hotel to spend your time in Jacksonville Beach. Opening June 6, 1925 the hotel is part of the Historic Hotels of America by the National Trust for Historic Preservation. Enjoy its beautiful setting and gorgeous view of the Atlantic Ocean in the Penthouse Lounge while sipping world class martinis and exquisite tapas. Beach Life Rentals will be set up just east of the hotel right on the sand so you can have easy and quick access to all of your Beach Life dreams! Right in the heart of the Atlantic Beach Town Center, One Ocean Resort and Spa is THE place to visit. Not only does it have the best view in Atlantic and Neptune Beach, this boutique resort is a delight to explore in itself. If you are looking for a place to relax for a while and fully enjoy the Beach Life, One Ocean will ensure that this is what you receive. Their level of service leaves you with only one worry... is the tide going to reach your chair. 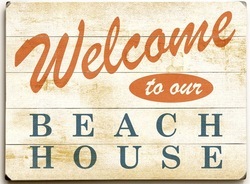 Ask your Docent about the Beach Life Rentals and they will ensure you can enjoy every part of their backyard. Beach Life Rentals can be found just East of the resort. You cannot miss us, head East on Atlantic Blvd and keep going until you run into the sand. Situated on one of Florida's famous white sand beaches just steps from the ocean, our Jacksonville Beach hotel offers the perfect vacation escape in the sun. Get away to our tropical beach paradise, enjoy fun activities and rest and relax to the sound of crashing ocean waves. Ideally located on the beachfront near the pier and downtown shopping and restaurants in Jacksonville Beach, our friendly hotel offers a pleasing selection of modern amenities and professional services designed to make you smile, including complimentary hot buffet breakfast served each day, free on-site parking (one vehicle per room) and complimentary high-speed wireless Internet access. The Seahorse Oceanfront Inn sits oceanfront on the beautiful Atlantic Ocean just east of downtown Jacksonville, providing appealing accommodations and stunning ocean views. Located in the heart of the beautiful Beaches Town Center, the Beaches Entertainment District of Atlantic & Neptune Beach, our guests enjoy fine restaurants, entertaining nightlife and specialty shopping all within walking distance. And of course there is the ocean ... every room is oceanfront with direct access to the courtyard, pool and lounge area. Guests can stroll to the beach directly from our gated courtyard & pool area and relax and enjoy the beautiful ocean views! The Lemon Bar provides refreshing drinks, food and fun times. Come see why the Seahorse Oceanfront Inn continues to have return visitors and why the locals refer their in-town guests to our hotel. 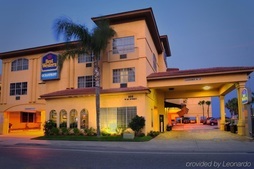 Clean and spacious rooms with great views and great rates, a lively Town Center area, and the famous Neptune Beach sand all await your arrival! 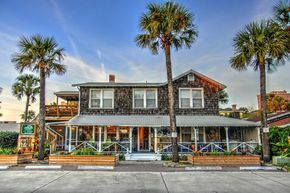 Tucked into idyllic Atlantic Beach, Florida and three blocks from the ocean, Hotel Palms is a modern, beachside motor court hotel.Reclaimed wood headboards, palm trees, concrete floors, and uncluttered design inspire visions of beach house living. So, pack your bag but travel lightly as our rooms, amenities, and location are all you’ll need to feel like a local, if just for a weekend. They have their own bikes, but ask them about beach chair and umbrella rentals so they can get on the 584-7368 (RENT) hotline to get you what you need quickly! Make your vacation unique with NE Florida Vacation Rentals, managed by Lifestyles Realty Web. They have a wide range of vacation homes available in the beautiful beach and golf course communities of Jacksonville Beach, Ponte Vedra Beach and St Augustine that we hope you’ll consider when planning your next vacation. While enjoying one of their luxury properties call (904) 584-7368 (RENT) for all your Beach Life equipment needs! Lancelot’s Castles offers several choices in the short-term furnished or vacation rental market, from condominiums to oceanfront homes. Prices range from $1,200 to $5,000 weekly. Our inventory covers the Jacksonville First Coast area from Atlantic Beach to Ponte Vedra Beach. 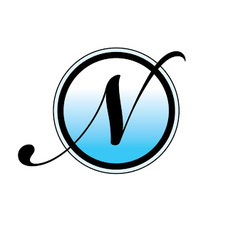 Nottingham Realty & Rentals, LLC is a full service real estate company providing property management services for long and short term home and condo rentals, vacation rentals, home and condo sales and rentals, property management and house sitting services for Ponte Vedra Beach, Jacksonville Beach, Atlantic Beach, Neptune Beach and surrounding areas. Property Management Services for long and short term home and condo rentals, unfurnished and furnished vacation rentals. Atlantic Beach, Ponte Vedra Beach, Jacksonville Beach, Neptune Beach. Real Estate agents providing Sales and Listing Services. Serving Ponte Vedra and the Beaches since the late 1800’s, Stockton Real Estate is one of Northeast Florida’s most prestigious rental management companies, and easily the largest single firm at the Beaches. We specialize in both short-term, furnished vacation rentals, as well as unfurnished long term rentals. Our inventory includes single family homes in many of the gated golf communities, to also include oceanfront homes, and we represent a large number of condominiums throughout the Beaches as well, including several on the oceanfront. Also, check out The Little Beach House. Several beautiful properties around Jacksonville and Neptune Beach! Click the links below to check availability! Live Happy and Stay at the Beach! Jax Beach 1 block from ocean! Beach Life Rentals is your one-stop shop for all of your beach rental and bike needs. We offer beach cruisers, tandems, children's bikes & accessories, stand up paddle boards, surfboards, kayaks, and boogie boards. We also offer free delivery and pickup on Beach and Bicycle Rentals. Call anytime for reservations or come see us on the beach in front of the Casa Marina Hotel and Best Western Oceanfront Hotel.